Striking, creative vibe from the moment you enter. Westpoint Studios boasts 3 key rooms and 3 additional rooms with tie lines in each space, plus ample facilities to make your session a comfortable and productive experience. With a range of modern, vintage and inspiring equipment, Westpoint gives you the space to make your project thrive. From writing through to production, recording and mixing with outstanding results. Centred around our SSL console, Westpoint's control room can uniquely accommodate two engineers, a producer's table and an artists' interactive table all at the same time, allowing multiple people to interact on the same session for a level of creativity unveiled by other studios. The producer's table can also control the many sets of speakers and talk back facilities without having to move. Further interrelation can be accessed from our live room allowing musicians to directly control Pro Tools and monitor proceedings; great for spontaneous punch-ins. 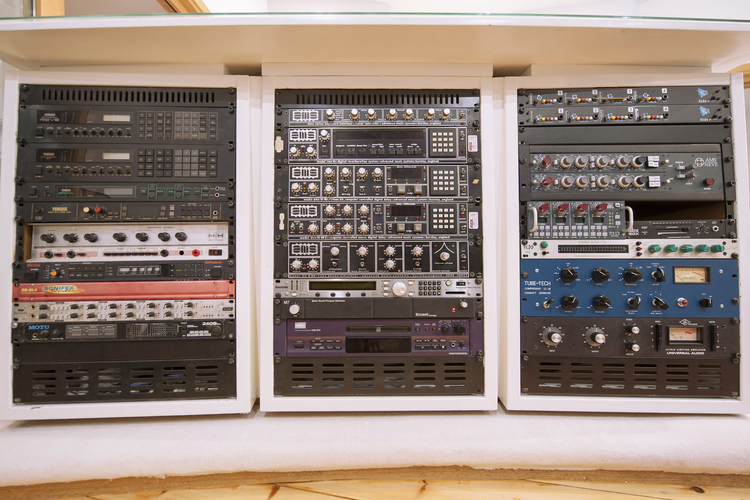 For traditional mixing sessions, we have an ample array of rack equipment, classic effect processors and tons of software plugins for good measure. The studio's patching system also boasts patchable MIDI, video sync, ethernet, cues and loudspeaker for you to create and control a variety of recording situations. For a personal touch, our vocal booth is within a couple of feet of the producer's table, allowing producer and artist to interact with complete separation. 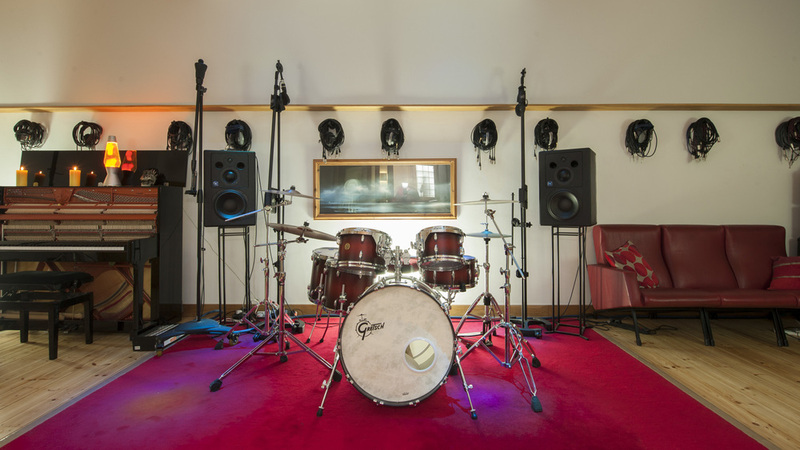 Westpoint's 28-foot live room has an impressive five square metre view from the engineer's chair and is stacked with guitar amps and drums kits. Furthermore the live rooms boast a rest area, smart TV and air conditioning, giving artists comfort, creative options and stress-free interaction with the engineer. For further speed, our live room is permanently set up with Quested v3110 mid-field monitoring so artists can listen to previous takes or mix down while relaxing to film. With its natural finish wooden floors and high ceilings, our live room also provides the perfect ambient recording space for live bands, strings, brass, drums, vocals and piano. Westpoint's vocal booth boasts the best interactive space for producer and vocalist to work together. Various patching options - including the ability to change polar patterns during a take - gives you unrivalled speed while still being able to achieve the very best results. There is a variety of lighting and comfortable seating, too. Vocal booth set up with our Brauner VMA, Rupert Neve RNR1, Shure SM7, Neumann u87 and Neumann u47. Our dedicated 4.5 metre cubed guitar booth is accessed from the live room and is flexible enough to play from any room in our facility. Should you want to do overdubs from the control room or record alongside other musicians in the live room with complete separation while changing setting on the head of your stack, our guitar booth will cover you. 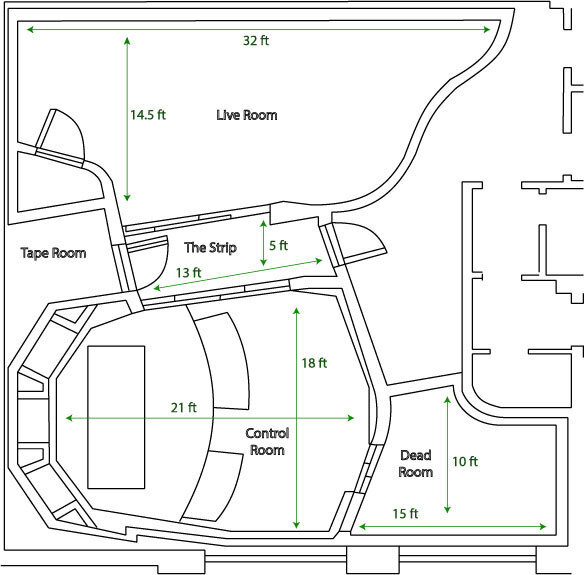 Between the control room and live room we also have a 14-foot strip with a 5 metre square view of the live room and control room for musicians requiring separation with a good line of sight, or a secondary guitar booth with ample patching options. Our edit suite allows assistants to work on Pro Tools session or can double as further recording space with full patching options from our control room to record from. Due to its irregular shape and high ceiling, the edit suite can be great for an alternative vocal sound or snare overdubs for those who like to dabble. Shepherds Bush and the A40 are a mere 5 minute drive from Westpoint Studios. Additionally, four local train stations and plenty of bus stops are within a mile of our front door. The studio also has a loading bay within a few metres of our live room making access and set up lightning quick. For peace of mind Westpoint also has gated private car parking, or for those in a rush it is also possible to park right outside. With the exceptional combination of Westpoint's technical attributes, its stunning interior design, custom built furniture and Recording Architecture's position acoustics, you will find all you need and more to achieve the very best results. 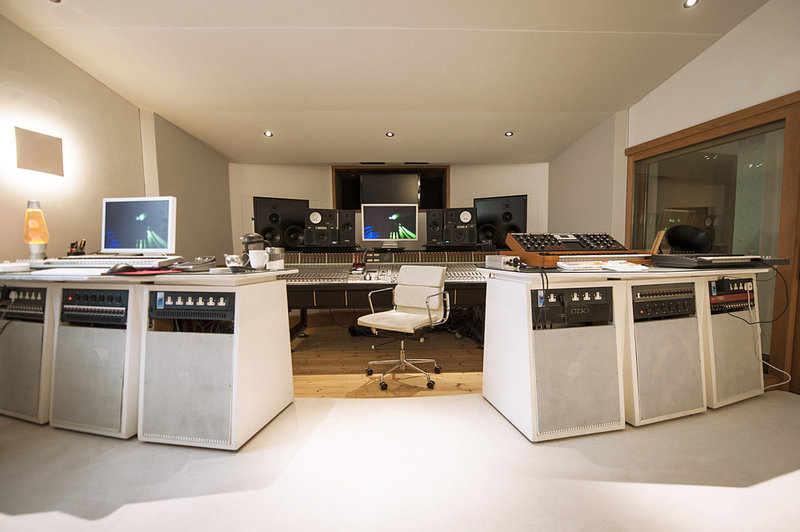 Westpoint Studios is not simply a recording studio, but a unique creative space to produce your 'white album'.